Do you..I do! Oria's O'shay! Describe your business. List your location and website. 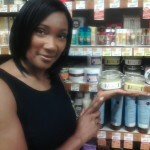 A line of natural products for hair and skin that work! What motivated you to open your own business? I wanted to create an environment where people can come and feel good about themselves. I started my own business as to create that opportunity. I opened a hair salon that quickly opened up doors for other opportunities for myself and others. I opened a hair academy, a kids salon and now the latest venture—Oria’s O’shay. This is product is the first that I have developed. The motivation to create this product came when a competitor (who shall remain nameless) failed to provide their product to the kid’s salon in a timely fashion and I had to meet the demand of my clients. How did you develop your concept? I wanted to provide a product that would meet and exceed the expectations or the previous product we were using in the salon. I wanted to use natural products that would create sheen and shine when used on the hair, while truly moisturizing and conditioning the skin. What inspired you to create Oria’s O’shay? I always wanted to have and create things that would benefit people for long life. At the age of 23 years old I lost my eyesight giving birth to my youngest child, (weighing only 3lbs 8oz!) now in college. When God gave me my eyesight back I knew I had a solid and soul purpose of being. Creating this with my mind and watching it develop in my hands, applying it in my hair and on my body allows me to know I’m walking in his eyesight not mine. “Detours“, a book I will release in the spring of 2011, will tell the story of so many young and older generations who have the same passion as me and the know-how, but not quite the understanding. I will share my knowledge, wisdom and down falls so that many will not have to make the same detours and getting the same results! How much capital did you need to get started? Did you use any creative funding sources? Funding for Oria’s O’shay came from some private investors and I. Currently, we are looking for grants. How do you market your business? Do you use any creative marketing strategies? Oria’s O’shay has attempted several marketing angles. We have utilized mass marketing, attended events and have dabbled in direct sales. Creating ad campaigns and opportunities to reach our target market are currently in the works. Utilizing social media is becoming a focal point. Are you or your business on Facebook? Twitter? Linked In? Please list. Currently, I am on Facebook along with O’shay. I am looking into Twitter and Myspace. How do you manage employees if any? There are no direct employees of Oria’s O’shay. I do work with a select group of people that are helping to take Oria’s O’shay in the right direction. What are some of your day to day struggles as a business owner? Owning your own business does come with struggles. Surrounding yourself with the right people is key to building your business. Reading people is an asset you can’t live without. Knowing your strengths and weaknesses is a constant struggle. Knowing when to delegate and assign tasks will help your business run smoothly. What brings you the most joy from your work? Knowing that the products I create work and help other people. Receiving the testimonies from customers and seeing the product work brings me joy and pushes me to move the product forward. How do you balance work life and family? Do your work demands affect your relationships? I give as much to my family as I do to my business. My family supports my business and the products that I create. Now for people outside of my family, there were some that required more attention than I could provide. However, those that are truly there for me and only me support my drive and determination to see this product reach its full potential. Ms. Lee-Driver has several years of experience working with various clients’ hair and skin. She developed a love for hair and skin care at an early age. Whether offering guidance to a student, hair advice to a client or giving back to the community she always does her best and give her all. Dedicated to her dream and craft she obtained her cosmetology license at the age of 17 prior to graduating from Gloucester High School. Education has played a key role in her development in cosmetology. Following high school she studied at the Dudley’s Cosmetology University. Upon completion she opened Re-Ons Designing Impressions, a hair salon for a diverse clientele in Ordinary, Virginia. This paved the way for her to open the academy and the kid’s salon. It was at this time Ms. Lee-Driver also gave back to the school system where she learned her craft, by becoming an instructor of cosmetology. This life-long dedication to her profession has guided her to create her own line of products that are natural and safe, even for the youngest client. Ms. Lee-Driver has always had a strong vision and even stronger desire to provide alternative solutions to mainstream chemical products. It was while she was creating natural products for the children of the salon; Ms. Lee-Driver developed and fell in love with O’Shay. 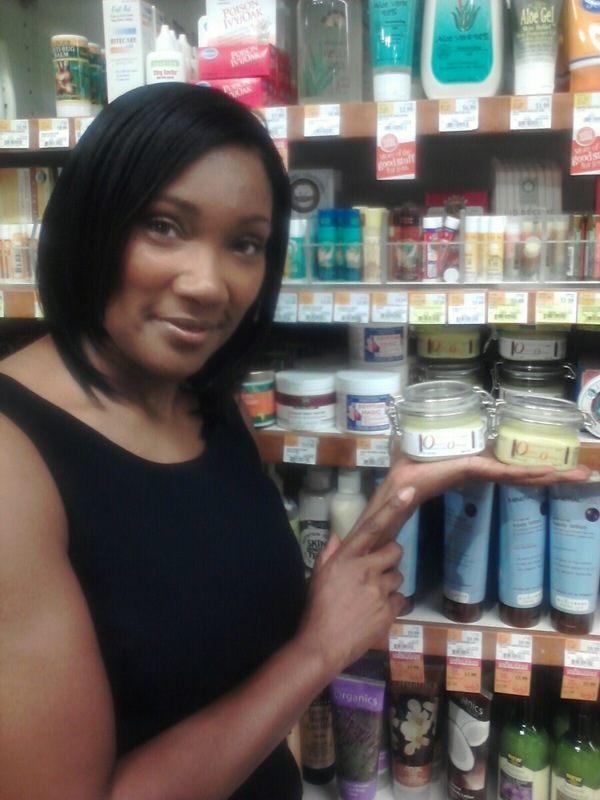 Creating a product for the children that was natural and free of harmful chemicals became her passion. It was this passion and drive that lead her to find her niche. Initially, this product was exclusively for clients in Philadelphia, PA and Newport News, VA. After a soft launch of these products within these markets, she found her client’s and other consumers demanded this product. Ms. Lee-Driver plans to utilize O’Shay to reach the masses and as a platform to create joint ventures to promote venues for children, teens and young adults to believe in themselves, reach for the sky while being radiant-inside and out. Maria, I’m very impressed with your products. I’d like to try some. Thank You! Email me and I will tell you how you can receive a 4oz of Oria’s O’shay for 12.00! I am really into aroma therapy. I remember one day walking past a table that smelled so sweet and stopped and asked what is that smell. When I found out it was a cream I had to purchase it. I purchased the cream because I wanted to smell like the fragrance that I walked pass. When I went home I could not wait to take a bath to rub the cream on my body. I rub the cream on my skin especially my feet for about three days straight. I remember saying to a friend of mine girl I have to get a pedicure, looked down at my feet, and said I can not believe my feet looks this nice. They were soft. They were different. They were transformed. I sat back and was trying to figure out what did I do differently. When I figured out that the cream gave my feet a face lift. I could not wait to email Maria to tell her that I loved her product. I was so excited. My skin is so much better and this was one of the best purchases that I have made in a long time. My daughter has eczema which I have been applying Oria’s O’shay. The results are amazing! I has cleared up the areas and left my daughter’s skin smooth and beautiful again! He is a 2001 Graduate of Life University and he runs a private wellness practice in Philadelphia. Dr. Loos is an avid runner and he has had exceptional results in treating athletes from dozens of different sports. I have seen scars and skin improvements from my clients using Oria’s O’Shay. I removed 30 moles from on of my clients face. I gave her a sample of Oria’s O’shay and she was so impressed. Not only did it bring her skin back to color but the texture was smooth and soft. Dr. Crews is board -certified general surgeon and wound care. He is the Fellow of International College of Surgeons and the American Professional Wound Care Association. I am pleased to endorse and recommend Oria’s O’shay products to anyone desiring better conditioned hair and improved skin. Since using the product for the last six (6) months I noticed softer hair after applying. As a man that spends a lot of time on the golf course the sun is hard on the skin. O’shay has proven to the answer to protect and keep my skin clear. Most of all O’shay keeps my hand soft and smooth for my lady as she does not like rough hands that can occur from playing golf. As an international businessman I have shared this wonderful product with beauty supply companies from South Africa, Kenya and Ghana and there is definite interest. Maria continue the good work in providing such a quality and beneficial product. I wish you success in all your future endeavors. I started using O’shay for my 9 month old (who gets called Florida Evans for her thick afro) and its the ONLY thing that I can use on her hair & the only thing that’s works.. I am 21 and I LOVE my hair, but it was very dry and porous and sheded like crazy, last week I got my own jar of O’shay and I can’t figure out what took me so long!! I WILL promote O’shay on my page & whip my hair back ‘n forth everywhere I go!! I just purchased your product about a week ago with AMAZING results. Why are you not marketing the HUGE psoriasis community? My skin lesions have not looked this good in 25 years, not even with steroids, methotrexate treatments or tar creams. I am truly amazed. I actually bought it for my hair, but upon reading the label, saw it was… ok for skin. Now if you know anything about psoriasis patients, you know we will try literally ANYTHING on our skin to heal it. I had to share my results with you. To have it actually work AND be 100 percent natural is a blessing. There is no cure for psoriasis, but you should know that this product has my skin looking better and my heart healed!